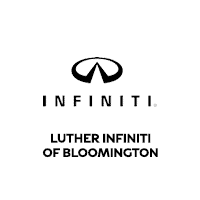 Luther INFINITI of Bloomington is proud to be your Bloomington INFINITI dealership of choice since 1991! At Luther INFINITI of Bloomington it’s our goal to exceed your expectations from test drive to delivery and beyond. Please feel free to browse our extensive inventory of new and used cars, trucks and SUVs. In addition to our friendly and knowledgeable sales staff, we also provide financing, service, and parts. Visit Luther INFINITI of Bloomington today or contact us to schedule a test drive. Luther INFINITI of Bloomington has all the new and used vehicles you need. Our convenient location and updated inventory make us one of the most popular dealers around. Get in touch with our sales staff and let them help you get the car of your dreams. Visit our Bloomington dealership and learn why drivers prefer us for an INFINITI purchase! We will strive hard to get you behind the wheels of your dream vehicle.